I always love haul videos/blog posts since I am always interested to see what people have purchased. It also gives me so ideas on future products to pick up and honestly fulfills my nosy curiosity! 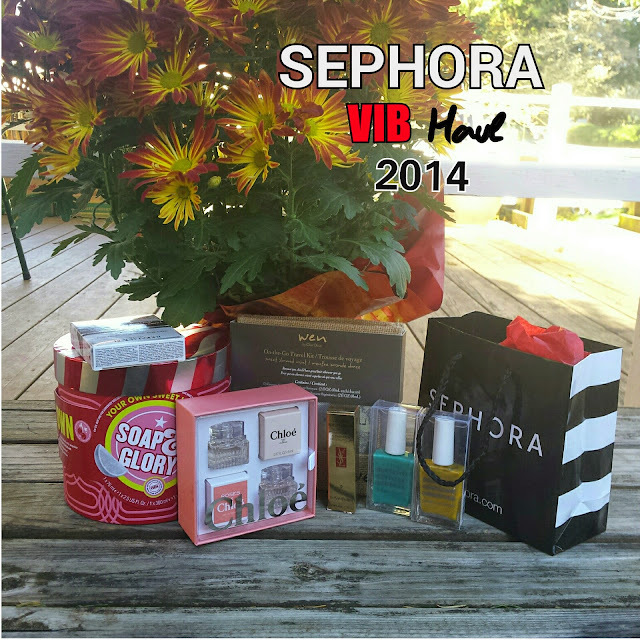 With that being said, today I wanted to share the items I picked up recently from the Sephora VIB sale. My order online finally came in in addition to one item I picked in stores. I was able to purchase a couple items I've had on my wish list with some modifications, and as you start browsing online, other things tend to catch your attention more! 1) YSL VOLUPTE SHEER CANDY #9 Cool Guava - FINALLY! 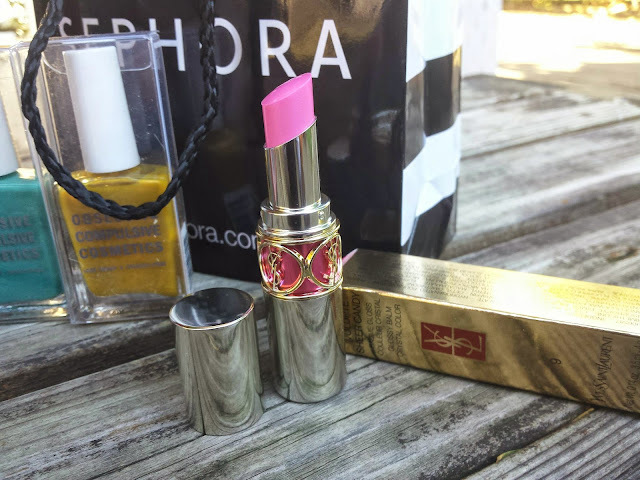 I own one of these beautiful lippies! I really wanted #19 from their other line, but they were all out in-stores and online. I settled for this lip shine since I could wear it more often and get practical use out of it. Plus, I like the pink color! 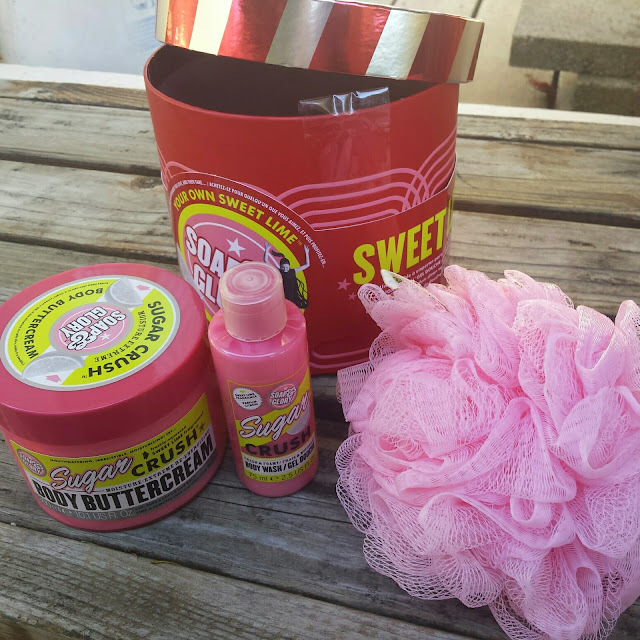 2) SOAP & GLORY You're Own Sweet Lime set - I have always wanted to try the sugar crush scent from Soap & Glory but never wanted to commit to the full size of any of the products, plus it was hard to choose if I wanted the scrub, body wash, or body buttercream! 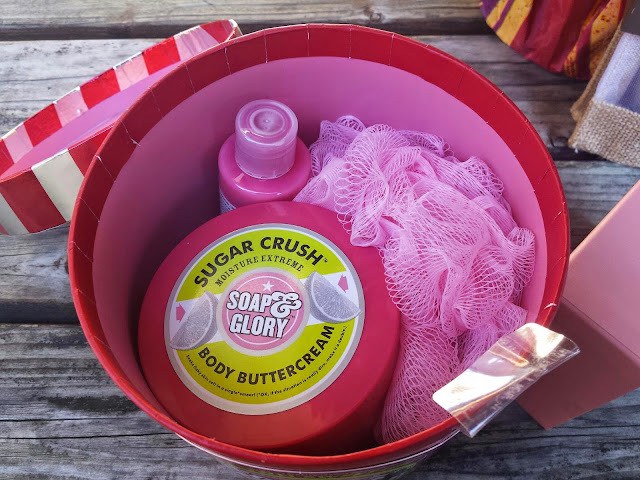 This set was perfect since I could try both the body wash and buttercream and get a new body polisher while I was at it! 3) WEN On-The-Go Travel Kit - As I mentioned in my wish list post, I've always wanted to try the Wen products, but didn't want to commit to a full size either. This set is even better than the other one I mentioned since these are smaller and I could travel with them too. I really test out the cleansing conditioner since there are two tubes of it in it and it will help me decide if I like this product enough to purchase in the future. 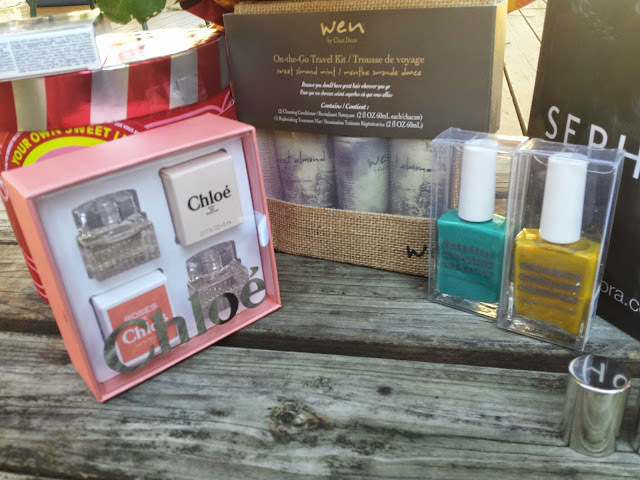 4) Chloe Mini Travel Gift Set- I tend to change perfumes and go through scents in phases and switch them out regularly. That's why I decided against getting the full size and opted for this duo with two of the Chloe perfumes to try. I have never finished an entire bottle of perfume or a deluxe sample or roller ball of any perfume so this smaller one was the way to go, plus I got an extra scent to try! 5&6) OCC Nail Laqcuer in Chlorophyll and Automaton - I wasn't really looking to purchase any nail polishes but for some reason, I stumbled upon the ones from OCC. I've heard good things about this from other blogger and YouTubers so thought I'd give some a try. I'm thinking of gifting one for my cousin actually and keeping one to myself. 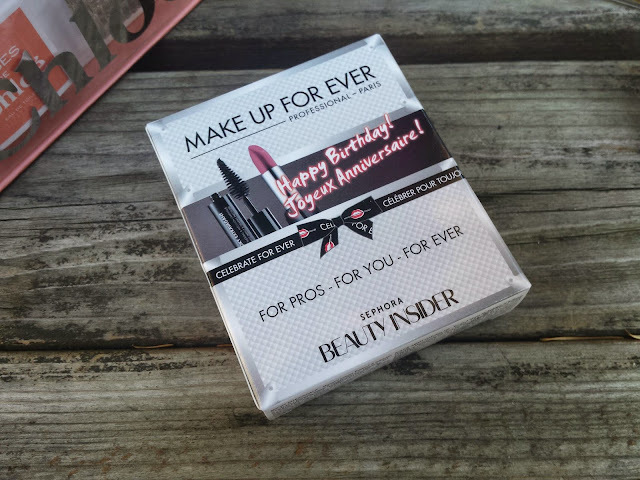 7) Sephora Birthday gift from Makeup Forever - This year's birthday gift set is by Makeup Forever and I love that there is a lippie in there and a mini mascara. I have never tried anything from Makeup Forever so think this a good intro into the products. Oh my gosh I AM SO JEALOUS. This whole haul makes me want to drool, stand up and dance.. I don't know! Haha! I still haven't had the courage to buy a YSL Volupte Lip yet.. Everyone is raving about this stuff!! I need to get some money, fast! ..I actually got that Sephora birthday kit, too. I love the 6N lipstick. Haven't tried the mascara yet.. But I was just like you in that I'd not tried anything from Makeup Forever. It made me want to buy their foundation. Great stuff from them! !